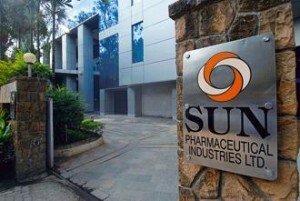 Sun Pharmaceuticals the drug maker based in India and Merck, Sharp & Dohme’s or MSD have decided mutually to wind down a joint venture because of changes in the strategic priorities of both parents companies. The just taken decision to cut ties comes nearly five years after both companies joined forces. The announcement was made following a board meeting of Sun on Friday. There will not be any material impact from the decision by Sun, said the company. The investment in this venture is not that significant and is easily factored into the financials of the company over time, said the Managing Director of Sun Dilip Shanghvi, without going into any details on the changed priorities. Shanghvi had been talking about the financial performance of the company during the third quarter that ended on December 31, including the remediation efforts of Sun ton its Halol facility that is under the microscope of the U.S. FDA. Sun, however, clarified that both of the partners would continue collaborations in other businesses including the co-marketing strategic Indian specific partnership for Sitagliptin the diabetic drug and a global program for Tildrakizumab. MSD, which is Merck’s trade name outside both the U.S. and Canada along with Sun had collaborated to develop then manufacture branded and innovative generic medicines to market in emerging markets, said company officials. The joint venture had been set up to have an equal representation and require investments as well as commitment from both sides, said both companies at the time. MSD was going to provide its registration and clinical expertise besides a geographical footprint, while Sun was going to provide research technologies access and its manufacturing facilities. Sun recorded profits at the time despite the adverse currency movements and the increase in research investments and added that the projected synergy benefits of its Ranbaxy acquisition had started to be reflected. Sun’s U.S. sales were over $486 million during the quarter, which was a drop of 11% over the same period one year ago and represented 45% of sales.